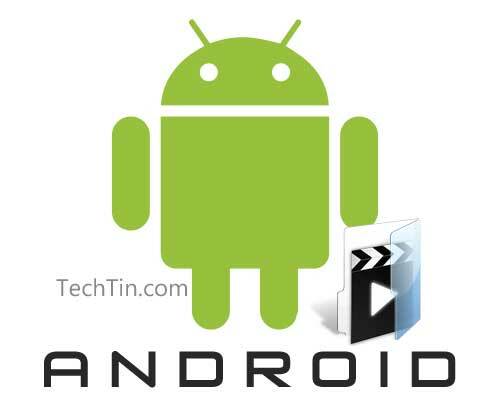 Android Phones do not support many popular video formats like Divx, Xvid etc. But you can still play these unsupported these video formats using third part free apps. Below is list of top six free video apps for Android. Using these free video apps you will be able to play unsupported video formats on your android phones. RockPlayer Lite: RockPlayer is high performance, almost all formats media player with a lot of functions. It saves your time and disk space to transcoding or format converting. Just put your video on sdcard or click the URL in browser to watch it. MoboPlayer: The best video player on Android! Watch any of your videos on a phone without conversion, anytime and anywhere. Meridian Media Player: The most functional and customizable player for your video and music in phone. mVideoPlayer: the best video player replacement application available for Android, with a lot of useful and handy features and a nice and clean interface. VitalPlayer: VitalPlayer supports almost all video and audio codecs. This powerful software codecs provide smooth quality video. RealPlayer: Entertainment on your Android. RealPlayer is one of the best Android apps to enjoy your music, videos, and photos. More user-friendly than ever, RealPlayer includes an intuitive user interface, playlist editor, widgets, searching, content folder selection, fast scrolling, and a ton of other features to make your media experience more enjoyable.